The all-new CST Ancla contains a sweeping tread design combined with a strong carcass to cover all of your backcountry tire needs. The Ancla’s deep widely spaced lugs shed mud easily and provide optimum traction to control your quad in the worst trail conditions while still containing a comfortable ride on hardpack trails. This tire comes in both 4-ply and 6-ply ratings giving it an extra strong barrier against punctures. 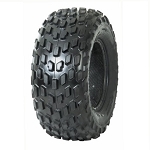 - CST Ancla ATV Tires are sold individually. Bought in 2010. Ride in East Texas River Bottoms, Hill Climb in Arkansas Iron Rocks, Hunt West Texas in Mesquite/Cactus. Tire's Grip is great by dropping air pressure to 2 psi and hold up better than others with sharp rocks. No flats or tire rot in 4 years and still have over 3/4" in tread left. Smooth on hard pack. It's a 6 ply that tougher than an 8 ply. No regrets. We have been using ancla tires for years and have always been very satisfied. The tread wears very well and they seem to last forever. they always seem to put cheep tires on when you buy a new machine that only last a year. we have a gator that is 6 years old that have ancla tires on it for the last four and they are still running strong. Ordered this tire for a spare but now I am going to buy a full set. Looks like a great fit for our RZR 900. First purchase of Ancla tires and my wife couldn't be more pleased with the performance of these tires....she had been riding with 14" tires on her 2017 Honda Rubicon TRX500FA7 EPS/DCT. The larger tires were not as forgiving in sharp bumps resulting in a rougher and slightly less controllable ride. The Ancla tires provided a softer, more controllable ride; the traction is superb in sand, mud, gravel and rocks. Just finished a 7 day ride in the western Upper Peninsula and Keweenaw in all kinds of terrain and weather; she can't believe the difference in traction and smoothness of ride....she loves these tires. Great value, too! I ordered a tire for my Gator and was very satisfied. The shipping was very fast, the price was much lower than other places I checked and the shipping cost was the best. I will order from them again if they have what I need. Great priced tires. Love the performance and price of the ancla tires I bought. Also the shipping time has been really short for both orders of tires that I have purchased. I will definitely buy from Pure Offroad. 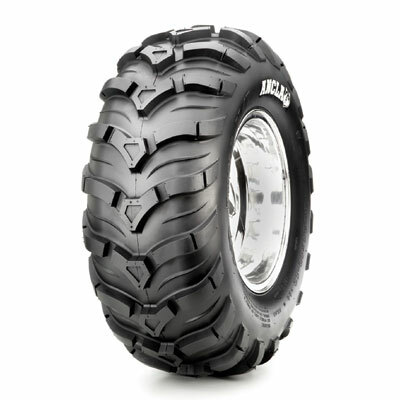 This tire is great Works well in sand rock or mud with a good smooth ride. Super fast shipping, and friendly emails when additional items I ordered were unavailable to ship. The tires are great, a bit more aggressive than the pictures let on, but overall I'm very happy with them! Thanks!! Fast delivery..and looks strong .set my foreman off.. Item was quality as promised, price was lower than local dealers and tire came in a timely manor. I bought two of these tires last fall for my four wheeler. I replaced my back tires. I absolutely love these tires. Run great on dirt/gravel, rock, mud and snow. I use my atv for ice fishing and these tires in deep snow are like tracks on my machine. Lots of traction no matter the surface. Just purchased another set for the front of my machine. Ancla all the way around now!! Q: What size rim do I need for a 25x 11-12 tire? A: A 12x7 or 12x8. Either would work great. Q: What it the depth of the tread on these tires? A: The tread depth varies depending on the size of tire you buy. All sizes are 3/4 inch except for the 26-9-14 & 26-11-14, those have a tread depth of 1 inch. Q: Hello, Are these bias ply tires or Radials? How to they handle side-to-side; would they tend to slip out in a hard turn? looking at 26x9x12 and 26x11x12 thanks! A: These are Bias tires. They handle very well, our customers that have purchased these really seem to like them. Let us know if you have any other questions. Q: Are CST Ancla 25 x 10.00-12 tires DOT approved? Or, are they off-road only. I can't see anything on the tire to indicate either way.